Autism Berkshire presents a National Autistic Society Family Seminar on Understanding Autism. 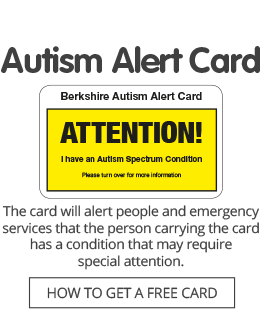 This FREE course is suitable for parents and carers of children and young people with autism spectrum conditions, or whose children are on the waiting list for a Berkshire CAMHS autism assessment. It looks at what autism is, the assessment process at Berkshire CAMHS, where to get help, how to get help in school, and other conditions associated with autism. There will be companion seminars at the same venue about Meeting Sensory Needs on Friday, May 10, and about Managing Anger on Friday, June 14. Places for these must be booked separately.